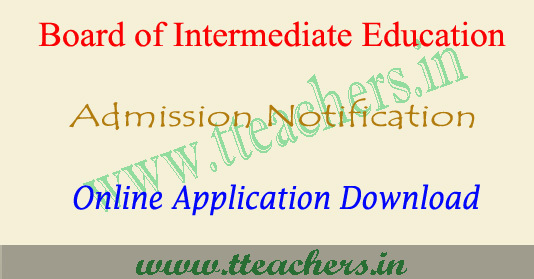 TS Inter admissions 2018, online apply, web options, notification : Board of intermediate education Telangana ready to conduct Intermediate 1st year admissions through online. 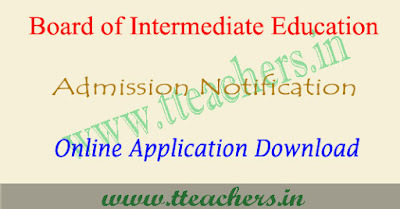 So TS intermediate online application 2018, telangana inter 1st year web options 2018, ts inter seat allotment 2018 available on this site. Govt of Telangana has initially decided to conduct web based Online Admissions for Intermediate 1st year courses from academic year 2018- 2019 onwards. TS Inter admission online application form will be opened soon after announcing the TS Inter admissions 2018 notification. Education Minister Sri Kadium Srihari has answered to a question in Telangana Assembly and he revealed this to the House. Official website : Published soon..
Intermediate board officials are framing the instruction for web based Counselling for Inter online admissions and 1st phase counselling, 2nd phase counselling and final phase counselling schedule seat allotment and TS Inter admissions 2018 schedule. Complete Details will be published soon after Govt announcement in this page.